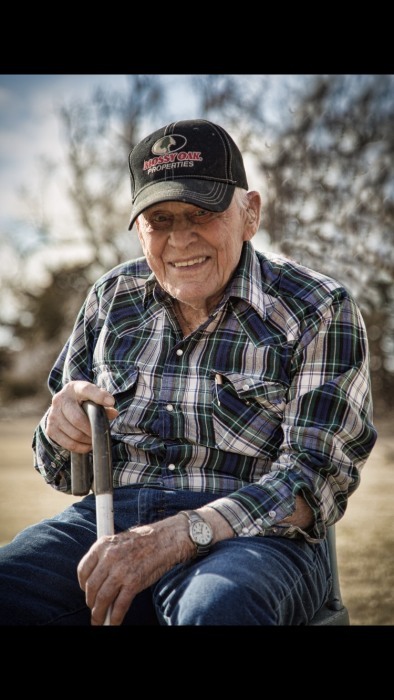 Obituary for Loyd E. Ratts | Minnis Chapel, Inc.
Loyd E. Ratts, 103, of St. John, KS, passed away peacefully at his home on November 28th, 2018. He was born on February 18, 1915, in Stafford County, KS, to Edmund and Nancy May (Smith) Ratts. He was a 1932 graduate of St. John High School. Loyd was a loving husband and father. He often expressed his love and gratitude for the two women who helped shape his life, his first wife Bonnie (Williams) (deceased) and Betty (Anderson-Austin) (deceased). He was blessed with eight children; Lorraine Brock, Jim (Salli) Ratts, Vicki (Mark) Livingston, Lana (Steve) Farmer, Doug (Barbara) Austin, Denise (Alan) Guinn, Brenda Guilinger, and Terri (Phillip) Koelsch. He was dearly loved by numerous grand, great, and great great grandchildren. He is preceded in death by his two sisters, Vida Sizemore and Thelma Merrick. Loyd carried on his family’s farming tradition throughout his life in Stafford County. During the Dust Bowl he also successfully farmed homesteaded land in southwestern Kansas. His ingenious and innovative mechanical gifts allowed him to be of service to the community. His ability to invent things out of necessity led to his first patent at age 97. 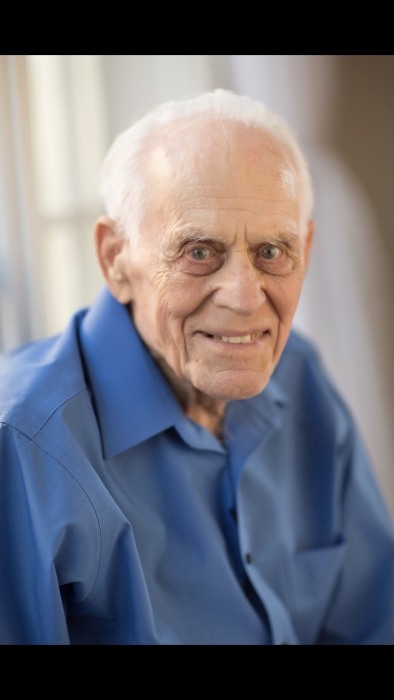 Loyd was an elder of the St. John Church of Christ and felt privileged to be involved with areas of ministry including Silver Maple Camp and mission work in Mexico for many years. He was a self-taught historical scholar, an inquisitive reader and a first-class story teller. A celebration of life service will be held Monday, December 3rd, 2018, at the St. John Church of Christ building at 2:00 p.m. with Rev. Carl Feril presiding. In lieu of flowers, memorials may be given to the Mexico Mission in care of Minnis Chapel, P.O. Box 34, St. John, KS 67576.